Lost your licence and need a limited licence? Rupert Ward and his support team have specialist expertise and knowledge in representing clients on limited licence (work licence) applications. Rupert’s 100% success rate* is largely due to the fact that he works with his clients to ensure that the limited licence application meets the clients’ specific requirements. A personalised friendly service for Canterbury clients. Rupert takes the time to fully understand your unique situation and drafts your limited licence application to maximise your prospects of success. 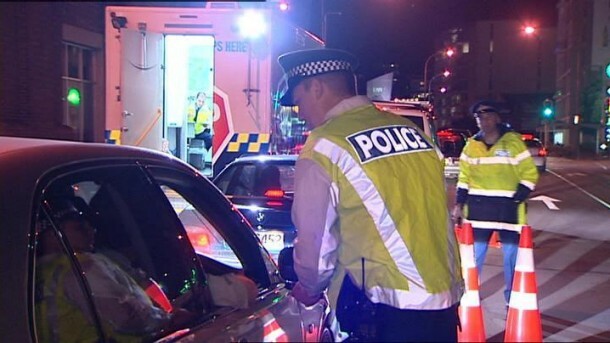 Drink driving (technically called “driving with excess breath/blood alcohol” or “EBA” for short) is taken seriously by the police and the courts. If you are charged with a drink driving offence consult a lawyer from the start. You can then be advised what the outcome is likely to be. Seeking legal advice early may help widen the options available to you and may minimise the punishment handed down on sentencing. Some offenders even may be able to avoid disqualification altogether. Where a client has a history of drink driving offending an experienced lawyer is needed. Rupert has an excellent track record of successfully arguing for sentences which do not involve imprisonment. A number of his clients have avoided imprisonment by attending rehabilitation programmes. Many people who apply for a limited licence often call them a “work licence” as frequently the grounds for the application will relate to their employment. However, that is not always the case and other grounds can result in a limited licence being granted.The test is not whether you need to drive for work but whether, by not being able to drive, “extreme hardship” will be caused to the applicant (the person who wants to drive) or whether there will be undue hardship caused to others. All sorts of reasons can be advanced to the court – for instance, helping an elderly relative get to hospital or taking children to school or after school activities or to see the other parent if the parents are separated. A limited licence is a licence which carries restrictions. For example, the times of day a person can drive, the area in which they may drive in and the permitted number of driving hours per week may often be specified. The conditions depend on the evidence presented to the court about the hardship which would otherwise be suffered. The permitted area can be small or broad. The hours granted could be just a few or over 40 hours. It all depends on the circumstances of the applicant. Good evidence must be presented in the form of affidavits (sworn statements) often done by both the applicant and also a supporting person (often an employer although this does not have to be the case if the employer is unaware of the position for some reason). Are you eligible for a limited licence? speeding – over 40kms over the limit. Outside of this blanket ban eligibility of a client depends on, for example, the number of convictions they have; the reason why they are disqualified, the circumstances relating to the offence and other driving offence within the last five years. Even people with historic drink driving convictions can be successful in certain situations. If a client is not eligible for a limited licence they may still be eligible for an interlock device to enable them to continue to drive. This is now a mandatory sentence for a number of offenders. An alcohol interlock is a device similar to a breathalyser that is connected into a vehicle’s starting system. Before the vehicle can be started, the driver must blow into the device. Generally, there is a stand down period and the vehicle is fitted with a breath testing device for 12 months. If the readings taken from the vehicle show it has been driven to meet the alcohol free requirements over the 12 months the driver is granted a new licence requiring a zero alcohol limit for three years. How soon can I apply for a limited licence? This depends on why you have been disqualified/suspended. Demerit points can result in suspension – speeding and mobile phone are just some of the ways in which points can add up. If your licence is suspended due to demerit points you do not need to wait and apply for a Limited Licence – You can apply after you are suspended (for reaching 100 demerit points). Where alcohol and dangerous driving are involved generally there is a delay of 28 days after the court sentencing date before the limited licence application can be made. 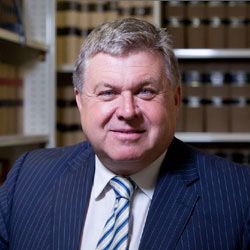 However, Rupert often works with his clients during any stand down period to draft the necessary documents – this means that the application can be heard as soon as possible. Take legal advice immediately to avoid delay. Simply fill in your details in the form below and you will be contacted to discuss with you our legal services can maximise your likelihood of success in a limited licence application or drink driving case. * This success rate is to date and relates to lodged applications. Whilst it is accurate Rupert Ward Barrister can make no guarantee about the outcome of any fresh application as the Court makes the final decision.